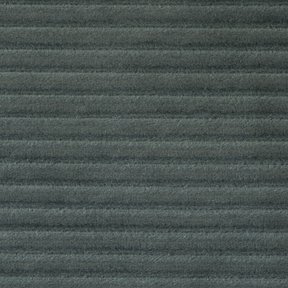 The product photo above is a 5 inch square section of Viva Black upholstery fabric. Viva is a luxurious cordouroy velvet that looks great and feels great. Viva is considered a SUPER HEAVY DUTY fabric, because of its wear ability. In addition, Viva is cleanable to most spills with simple dishwashing soap and water. Viva passes 100,000 double rubs, making it contract quality, so it is very durable. Viva would work very well in a family room setting, with lots of use, and kids eating and playing on it.